Tooth bonding is used in several different ways, but is probably most useful for repairing chipped teeth. Bonding materials (high-density, space-age plastics called composite resin) and porcelain are more natural in color and can be designed to perfectly match the surrounding teeth, making it difficult to discern there ever was a broken tooth. Transitional bonding is used for anything from a mock-up to a full-mouth rehabilitation. 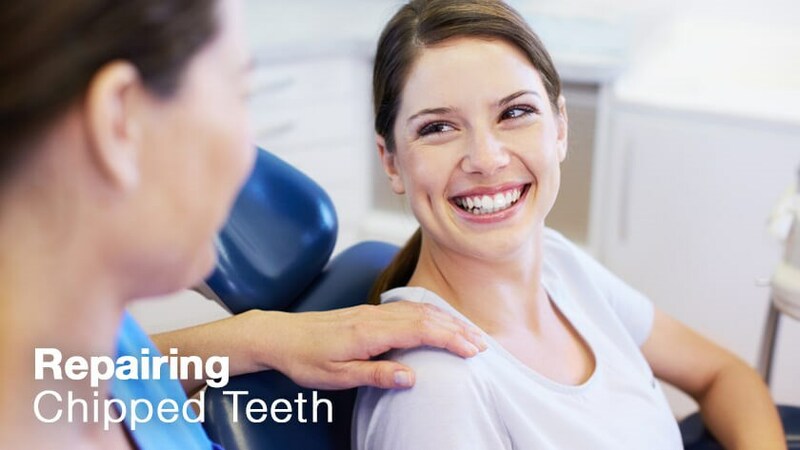 It’s called transitional because it allows the patient to transition into more permanent dentistry as he or she can afford, or as the treatment sequence demands, and it allows the dentist time to work out any bite related and aesthetic issues. Transitional bonding is an important tool in the skill set of an accomplished cosmetic dentist. If you have a chipped tooth in the back of your mouth, the dentist may recommend a dental crown. An AACD dentist will often use a tooth colored crown made of porcelain or zirconia. It is important that the material be durable and strong to withstand the clenching force. A dental crown covers the entire tooth. If the chip does not affect the entire tooth, the dentist may opt for a partial crown. Also known as an onlay, a partial crown is a type of restoration or filling that covers one or more cusps. 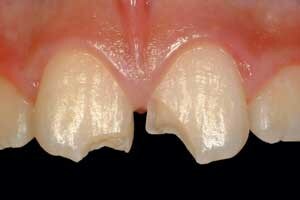 An inlay is similar to a filling but the work resides completely within the cusps on a tooth’s chewing surface. 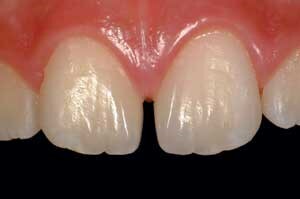 These restorations are much more conservative than crowns, and can be imperceptible from your natural tooth.